You will know a MOLST form when you see it by its bright pink color. (MOLST stands for Medical Orders for Life-Sustaining Treatment.) If you are elderly or seriously ill, you are likely to see it soon. But will it really get you the care you want? Rather, choosing a health care proxy is the best way to keep control of your end-of-life medical care. Medicare now pays doctors $89.55 to engage patients in end-of-life discussions. These discussions include advance care directives — legal documents that indicate the medical treatment you will, and will not, receive prior to even needing it. 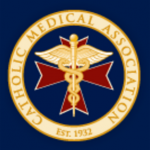 A Health Care Proxy form (including the Catholic version) is the only type advance directives accepted in Massachusetts. MOLST, on the other hand, is a medical order that takes effect immediately. While end-of-life care is complex for every patient, MOLST tries to reduce it to a few check boxes. It asks about only six areas of care but it can have implications far beyond them. The first area – cardiopulmonary resuscitation – is the biggest problem. The first choice is Do Not Resuscitate. Most people understand this to mean that if my heart stops beating and I stop breathing, do not make any attempts to revive me. Yet studies have shown that many physicians think that “Do Not Resuscitate” equals “Comfort Care Only” — that you somehow also meant that you did not want any medical treatments other than what will keep you comfortable, not even treatment for conditions that can be cured. While your primary care doctor may know exactly what you mean, he or she most likely will not be the one caring for you in a hospital or nursing home. A patient is not obligated to sign a MOLST form. Some doctors convince us to sign MOLST forms by asking if we want someone pounding on our chests, crushing our ribs, or putting tubes down our throats. Do we sign these forms hoping to avoid such things? Usually what we are trying to avoid is being resuscitated only to have our health so severely impaired that our lives are sustained by a machine. Should we be revived and end up dependent on a machine to live, a health care proxy could withdraw care as we would want. Before even talking about MOLST, clinicians should first discuss appointing a health care proxy with all their patients 18 years or older, according to the “Clinician Checklist for Using MOLST with Patients.” A proxy can make medical decisions for you if you are unable to at the time of illness. People usually want to live on once they are in health situations they never thought they could tolerate. Let the doctor’s role be to explain your condition, treatments, expectations, and the impact on your life. You, instead, remain in complete control of your care until you no longer can make decisions. When that happens, your health care proxy — a person who knows you better than your doctor does, who knows your fears, desires, and hopes — will make those decisions. To refuse a specific treatment with any advance directive before you actually face a medical situation is to literally sign your life away. For more information on MOLST see Advance directives; for a proxy form see Resources at www.witnessforlife.com.